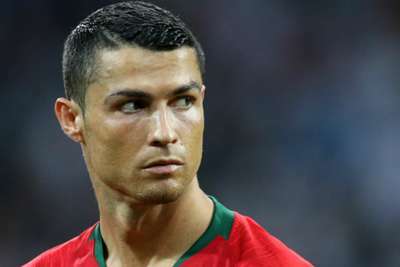 Ronaldo hobbled off with an apparent muscle injury in the first half of Portugal's 1-1 Group B draw at home to Serbia in Lisbon on Monday. Portugal earned a share of the points after Danilo Pereira's stunning 42nd-minute equaliser cancelled out Dusan Tadic's penalty as the hosts were held to back-to-back draws. "Honestly, I think the team played well," Ronaldo told reporters. "We had many chances of scoring, we couldn't make it. "If you have VAR to all competitions, why not for a European qualifier? It's strange," Ronaldo said. Ronaldo added: "We'll make all we can to guarantee that Portugal will be at Euro 2020. There's no need to be nervous or to lose the faith in this team. "The fans have to believe in our players. The ones who watched the match, who know football, know that Portugal deserved to win both games but at football one wins only when the ball is in. The ball didn't get in, at the next games, it will."